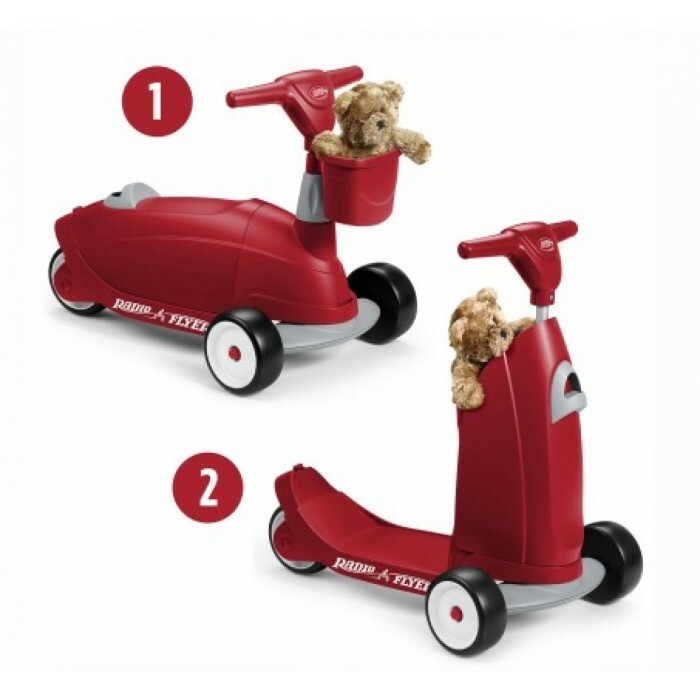 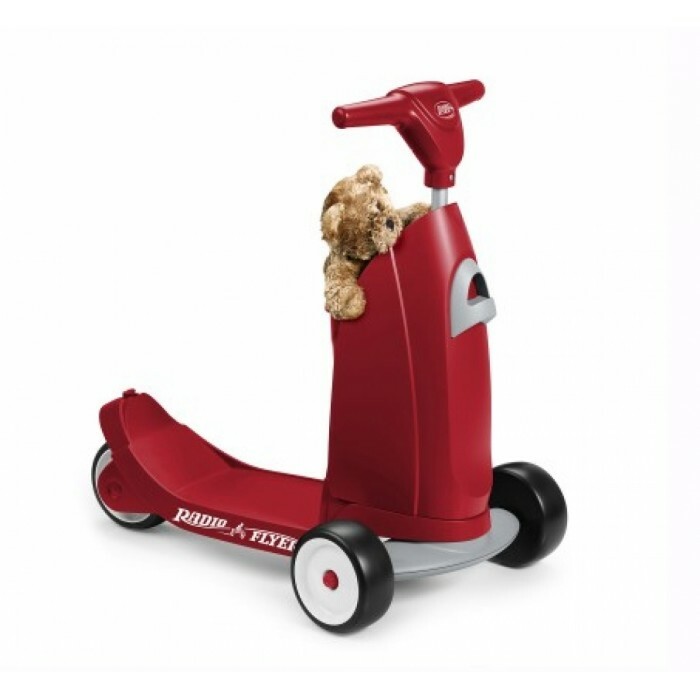 The Ride 2 Glide™ grows with your child through two milestone stages of play. 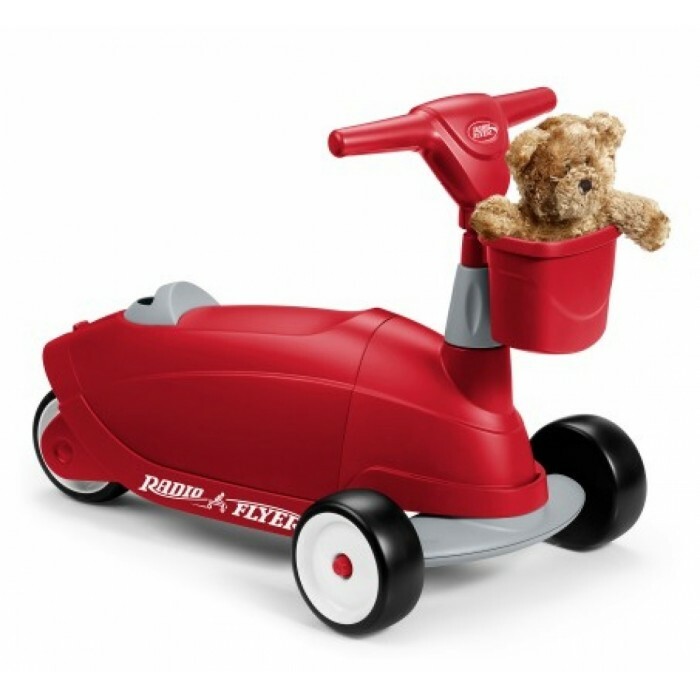 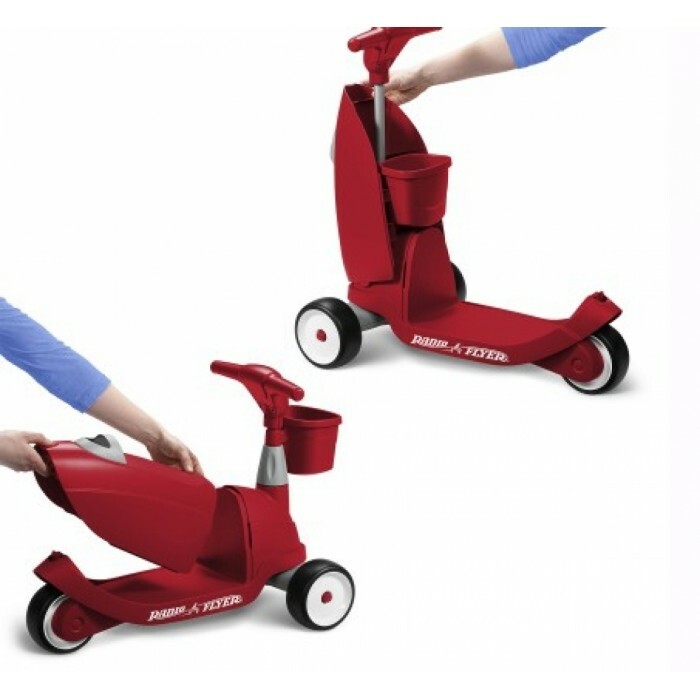 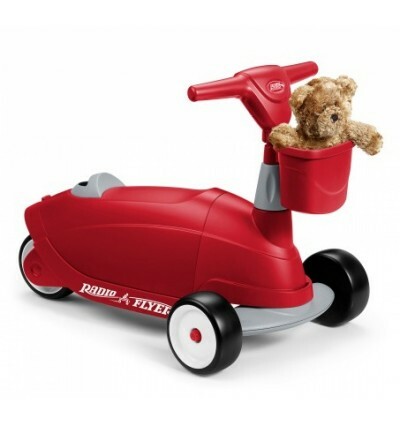 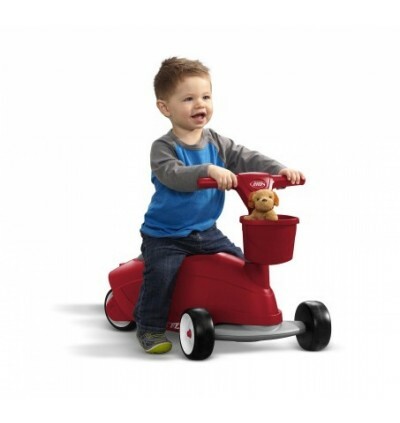 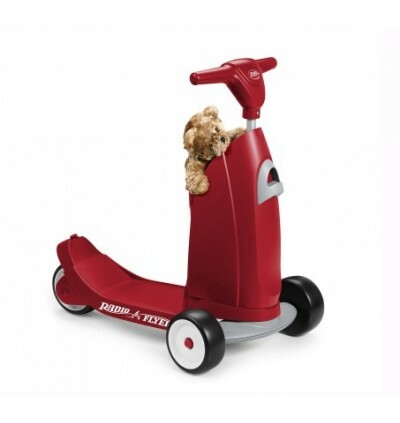 First your child can learn to scoot, then this two in one easily converts to a 3 wheel kids scooter. 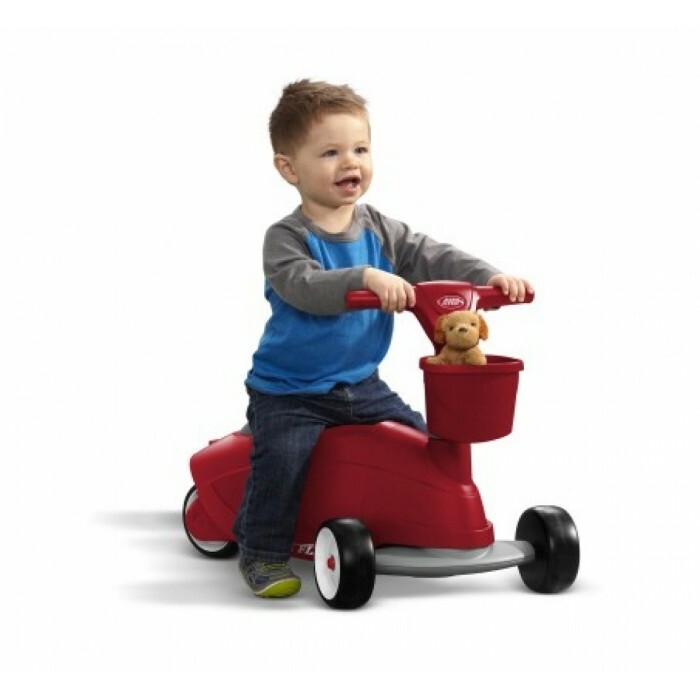 Simply raise the handle bar and move the seat to the front. 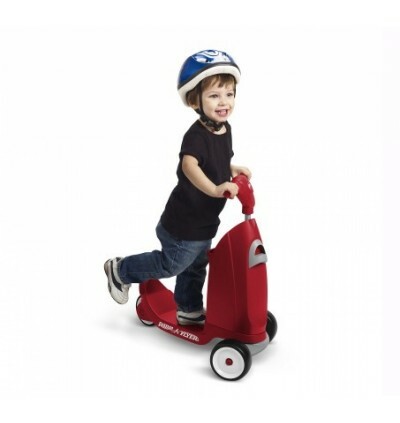 The scooter is perfect for beginner riders still developing balance and coordination. 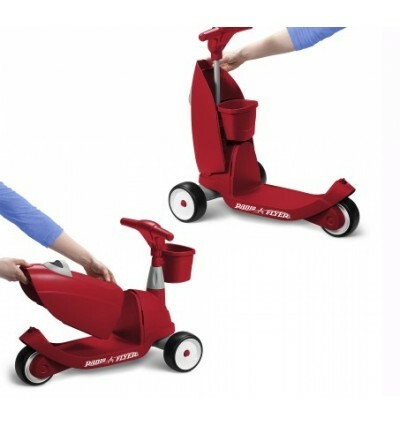 There is also a great storage basket for both modes of play.